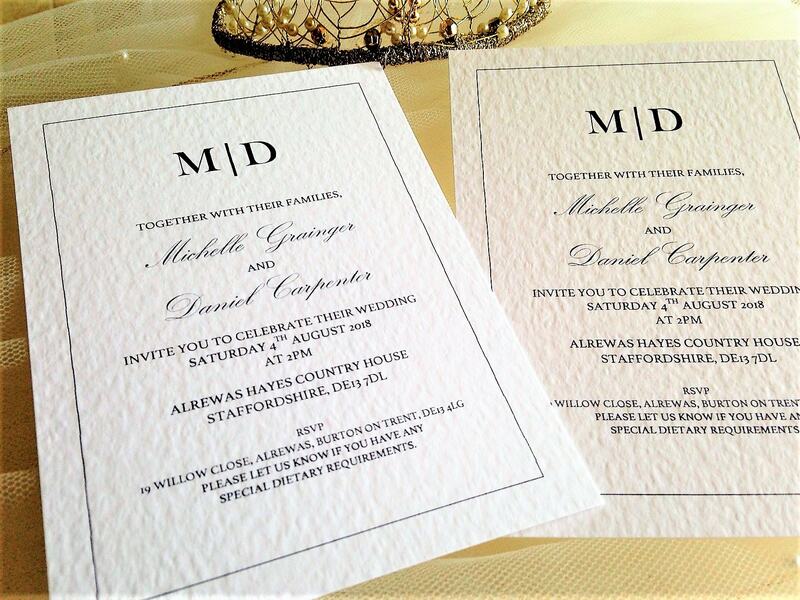 Kent wedding invites are an elegant A6 postcard size personalised wedding invitation supplied on a thick heavy weight (270 gsm) hammered card and are available in either white or ivory. 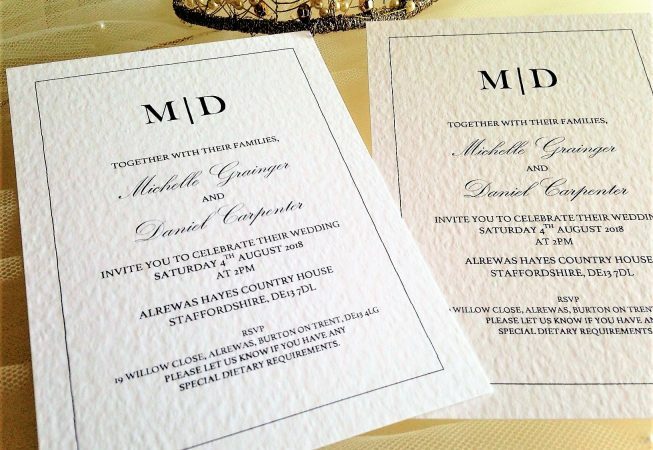 Wedding invites are supplied with matching envelopes and we can print your guests names free of charge (this is optional). 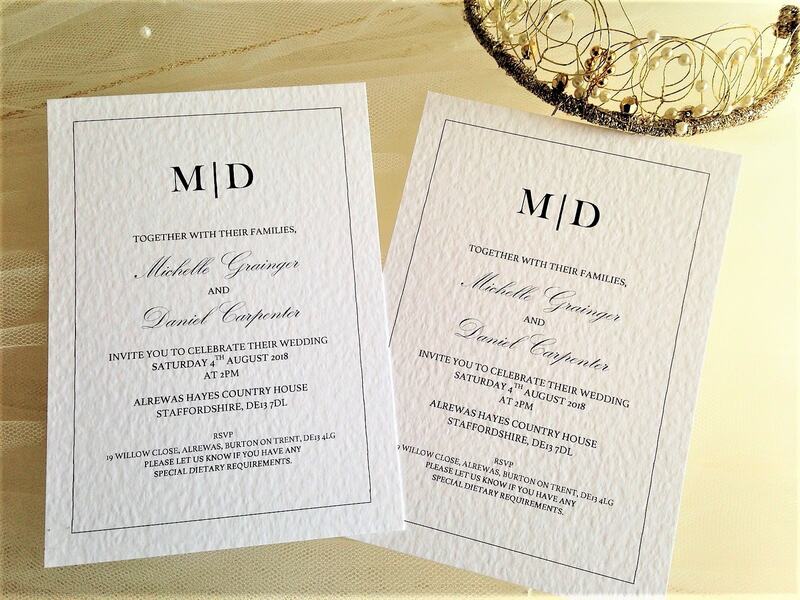 We can also supply other matching kent wedding stationery items in this range so everything will match beautifully on the day.